The Spring Meetings in Washington D.C. of the World Bank, the International Monetary Fund and central bankers has begun. 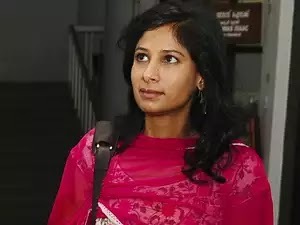 The IMF’s chief economist Gita Gopinath used a Tuesday press conference at the meetings to among other things warn about crazed Modern Monetary Theory. Gopinath is a Keynesian-establishmentarian, schooled under Larry Summers, so her general economic views, especially about fiscal and monetary policy as a way to control the economy is off, but at least she recognizes that MMT policy couldn't work on planet earth or any of the other planets revolving around the sun. She started out with a Keynesian nod to fiscal policy, 'Fiscal policy is a very important part of the tool kit for policy makers," she told reporters. But then she brought the hammer down on MMT policy and its supporters seeming advocacy for never-ending government spending. "There is no free lunch. There are limits to how much countries can spend,” she said.